As cloud storage becomes more common, the need for portable, removable drives has diminished, but for photographers, travelers, extreme athletes, or anyone working in remote locations, a hands-on physical solution for transporting important files is sometimes the only option. To address the needs of such users, Lexar today unveiled its latest USB thumb drive, the JumpDrive Tough. Built to withstand the elements and survive a wide range of adverse conditions, it is waterproof, shockproof, and includes EncryptStick Lite software to provide 256-bit AES encryption that protects files and guards against corruption, loss, and deletion. Whether you work in extreme conditions or are simply accident prone, the JumpDrive Tough has you covered. It is waterproof down to a depth of 98 feet, so if for some reason you want to carry your family memories with you on your next scuba diving trip, you can. Or, you can just rest easy knowing if you drop it in the mud you can wash it off without fear of damaging it. Plus, if you’ve ever wanted to wear stiletto heels around the house or office but didn’t for fear of stepping on and destroying a stray USB flash drive, fear no more: the JumpDrive Tough can withstand up to 750 PSI of pressure. 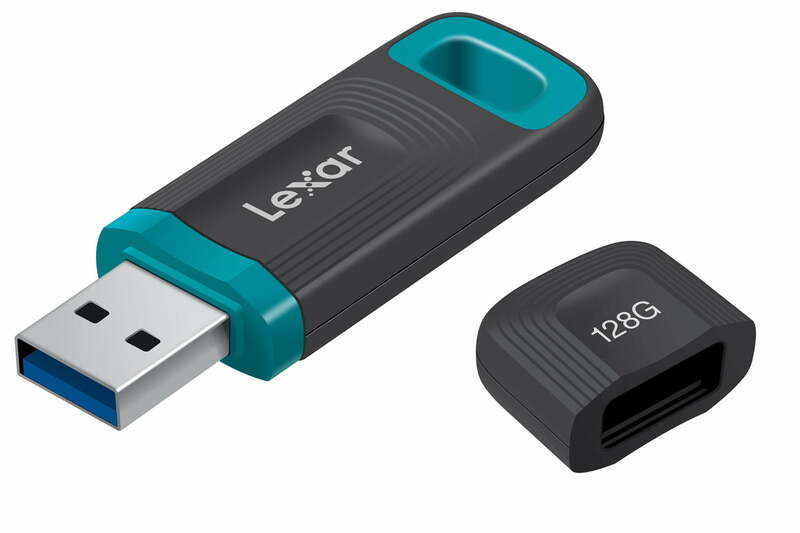 Lexar didn’t just build this new thumb drive to be strong, they also made it fast, with a transfer speed of up to 150 megabytes per second and a read speed of up to 60MB per second over USB 3.1 connections. Lexar says that’s roughly four times faster than a USB 2 thumb drive, with the ability to transfer a 3GB file in less than one minute. Naturally, the drive is reverse compatible with older USB standards, albeit at slower speeds. 150MB per second isn’t as fast as many of Lexar’s other consumer memory products. The 1800x Professional MicroSD card transfers data at 270MB per second — but it probably wouldn’t survive being stepped on by an elephant or run over by a tank. The JumpDrive Tough is available now in three different sizes: 32 gigabytes for $20, 64GB for $35, and 128GB for $60.